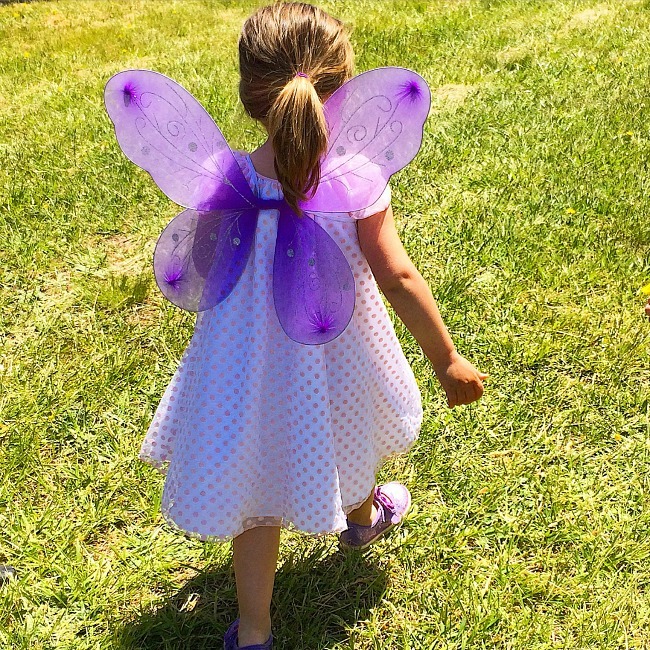 It was a hot and sticky summer afternoon and although we had already had such a great day, I could tell my daughter’s energy was depleted. However, as we emerged from the wooded path, she ran across the open field towards a covered pavilion. 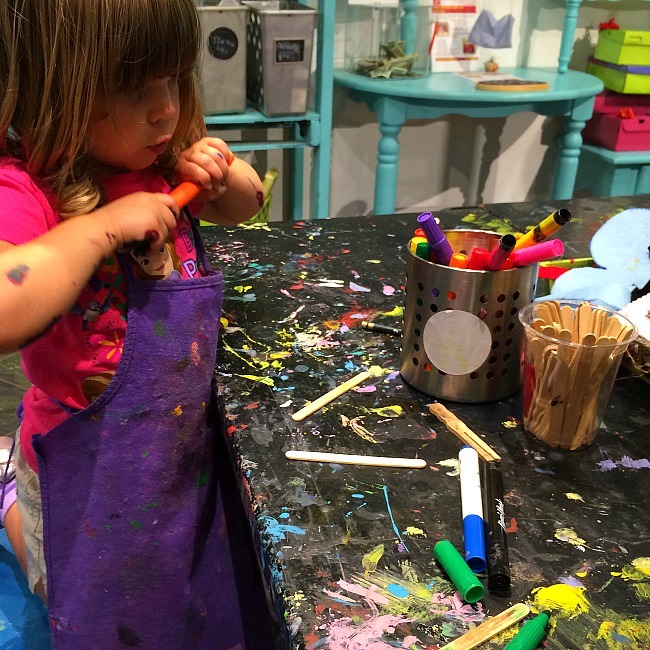 Then, for close to an hour, my fidgety 2-year old was completely absorbed in a world of color and art. Reds, blues, yellows, greens.. even black. 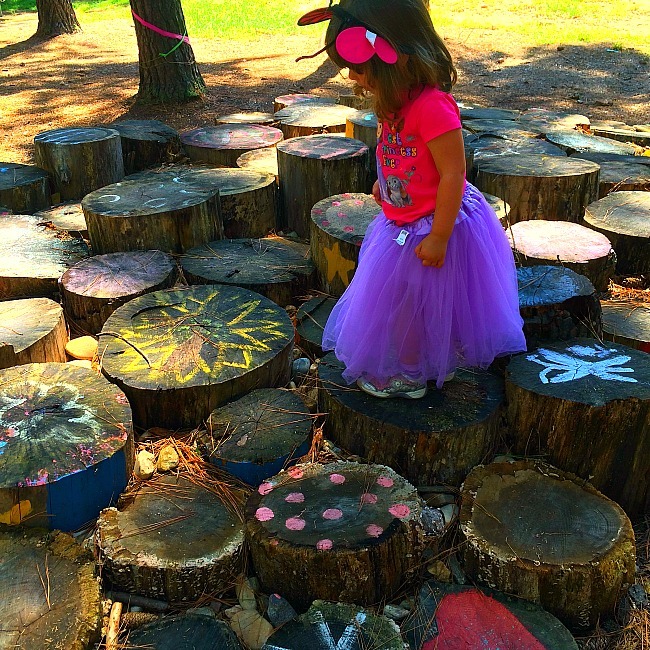 There was a basket full of rocks and I bet that if I had let her, my daughter would have sat there and painted every. single. one. Painting rocks. Who thought of this brilliant idea? 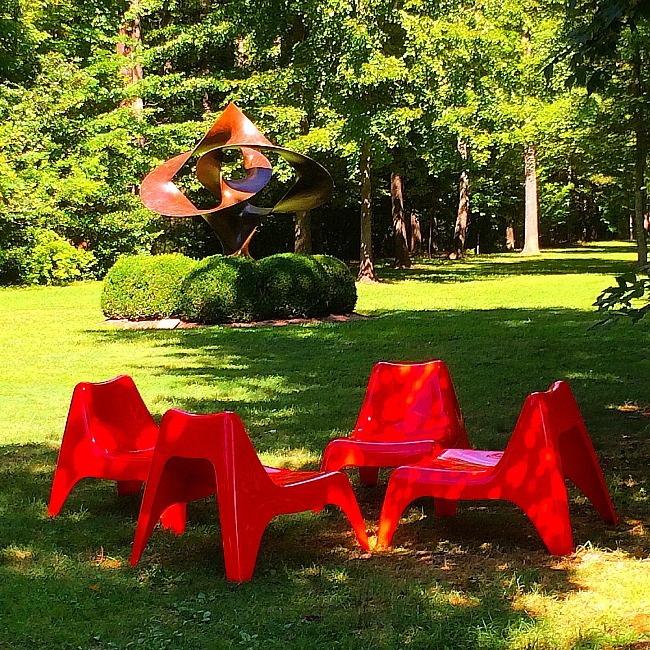 Well, every year the Annmarie Sculpture Garden and Arts Center hosts a public art project. This is just one of the many reasons you should consider making a day trip out of this Calvert County gem. 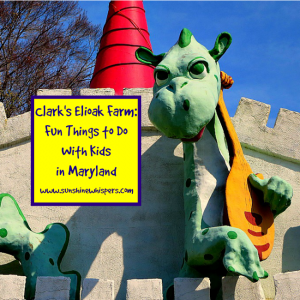 It is absolutely on my list for amazingly fun things to do with kids in Maryland! Ok, I am going to be completely honest with you for a second… the Annmarie Sculpture Garden and Arts Center is totally awesome! Yes, I am gushing… it is that great. I wish we lived closer to Lusby, MD so we could visit more often. And don’t let the fact that it is a ‘sculpture garden’ dissuade you. 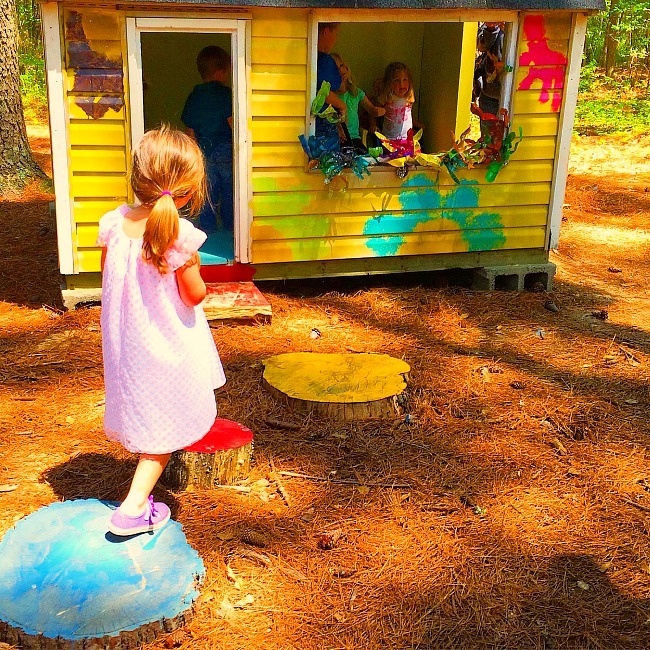 This lovely garden is full of fun, whimsical, and downright enchanting activities for kids. My daughter had a blast! The Fairy Lolly is absolutely delightful and will surely be a huge hit with your kids. 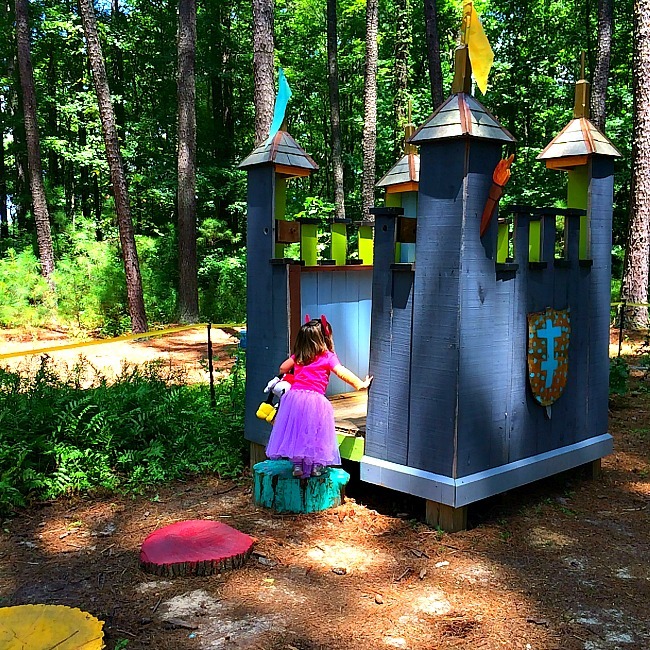 Even though you can access The Fairy Lolly from the parking lot, once you purchase your tickets to the garden, linger in the Arts Center so your kids can get dressed up as fairies, princesses, or knights. You can even purchase a fairy wand from the front desk. 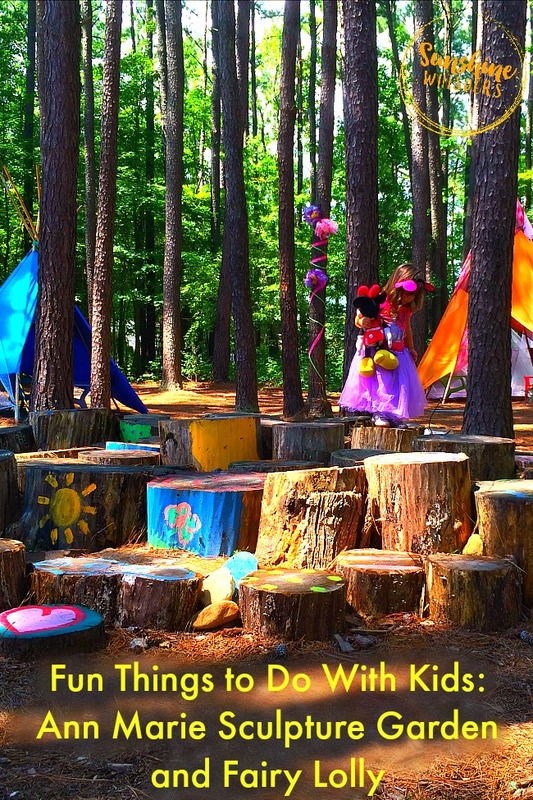 The Fairy Lolly is dotted with numerous play houses, tee pees, a stage, and other fun play features. 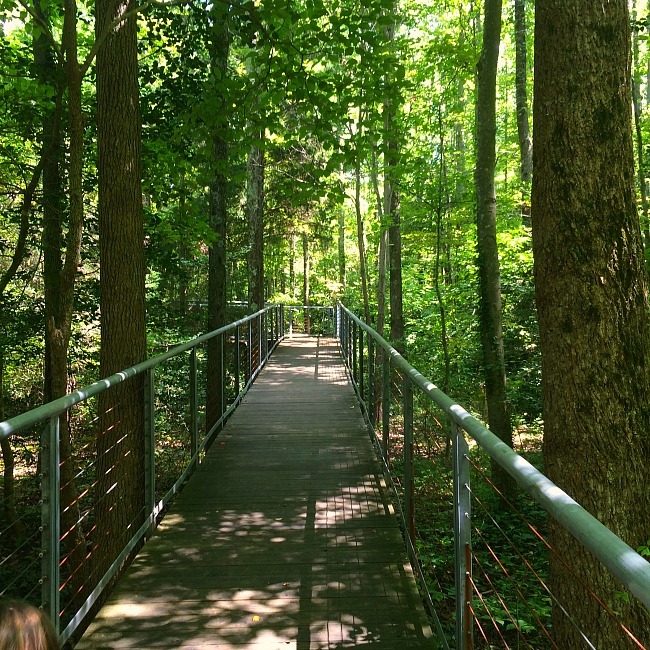 The main sculpture garden is situated along a wooded path. 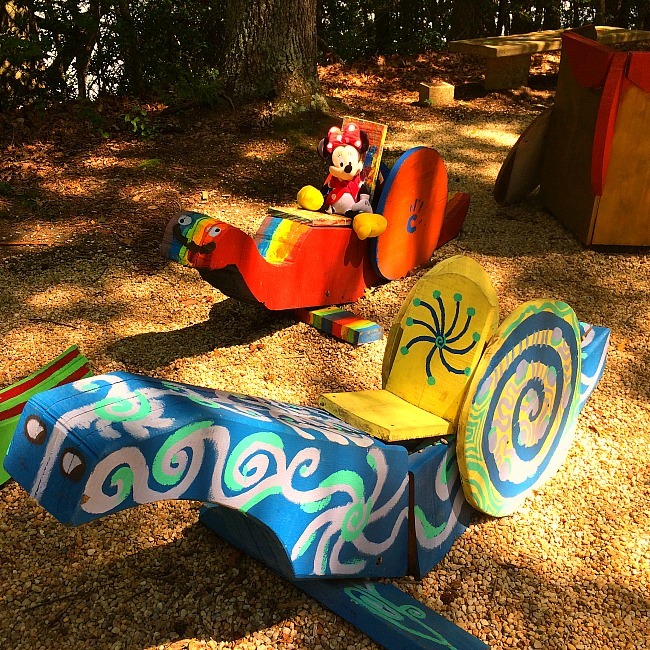 There are numerous sculptures and even though kids won’t necessarily appreciate the art, they will love the wooded path. During the late spring and summer months, the fairy homes from the Fairy and Gnome Home Festival dot the path, many of them with obligatory gnomes nearby. 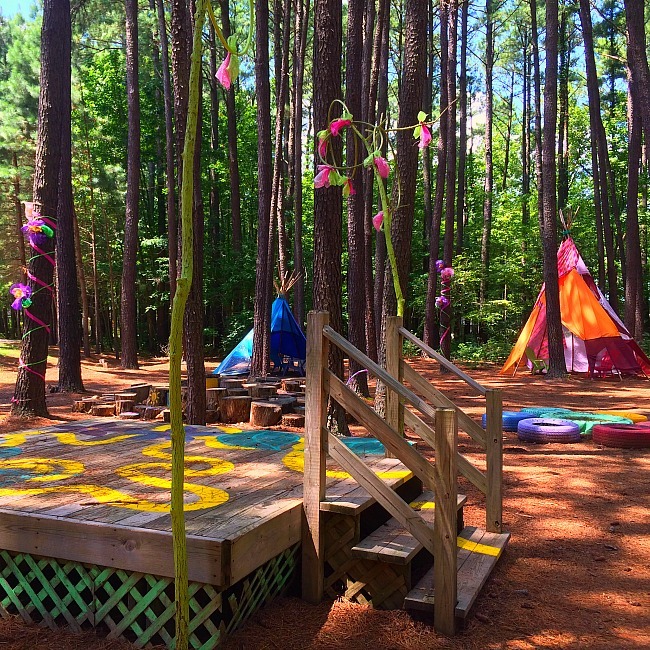 Kids will also love searching for the Tree Pops– famous art masterpieces painted into the trees, and checking out the developing Children’s Garden, which is about halfway through the garden walk. As mentioned earlier, every year the sculpture garden puts on a public art project. 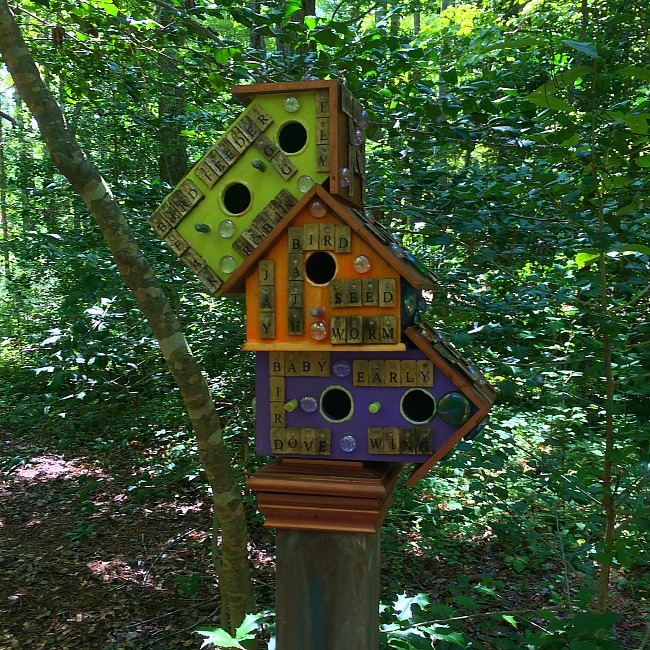 Visitors are encouraged to contribute, although contributions stay at the garden as part of the public art. 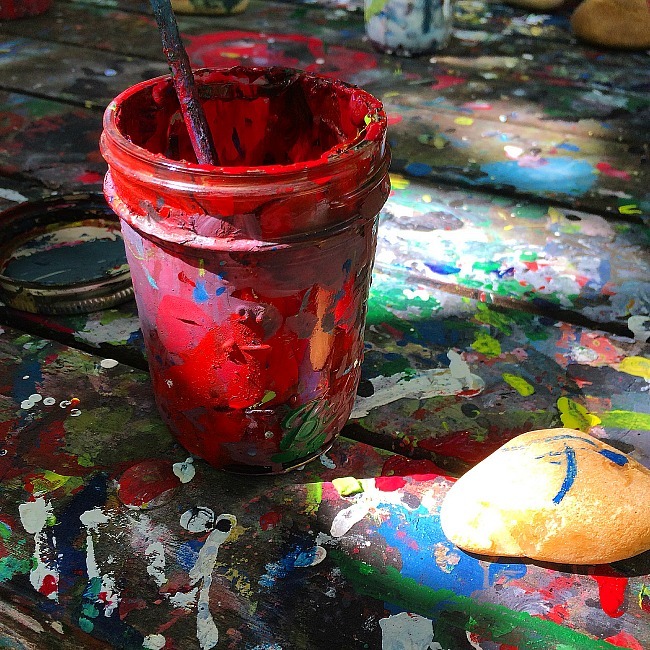 In 2015, patrons painted rocks that will be used in the Children’s Garden. If you were to ask Sweet Pea, I am sure she would say this was her favorite part of the day. 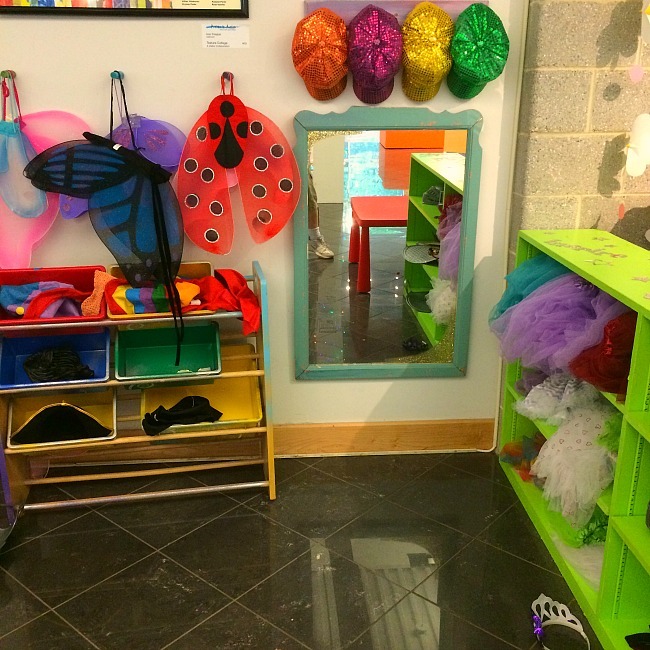 This fantastic walk-in art activity center is located in the Arts Building.. which is the main building at the garden. 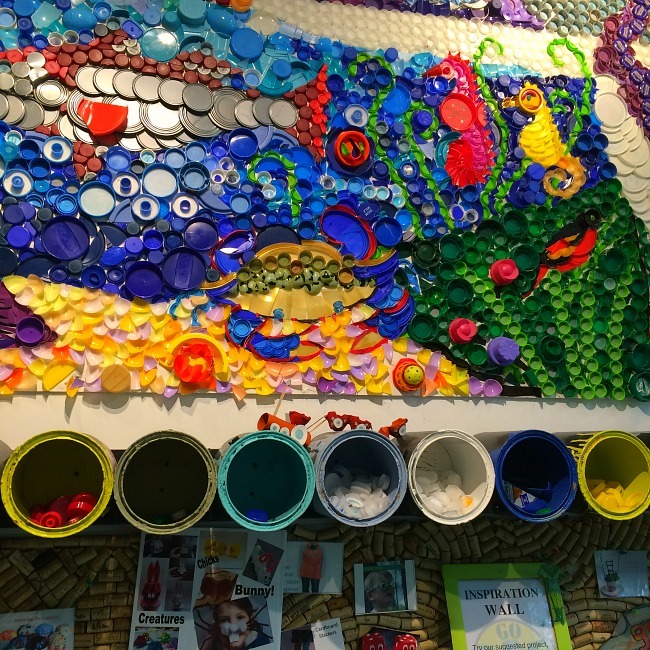 The point of this space is to get creative and make some cool art projects that you get to take home with you! The day we visited, there were a number of projects set up for kids. However, visitors (kids and adults alike) are encouraged to just get crafty and creative! 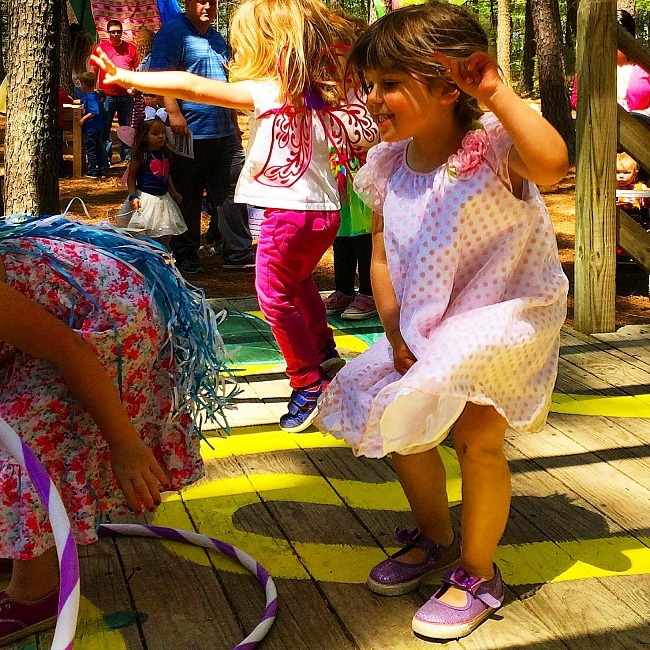 Tip: Clearly, these festivals are meant for families and are super fun. However, I would highly encourage you to visit the sculpture garden during a non-festival weekend as well, especially if your kids are sensitive to chaos and crowds. We have visited twice and there was a HUGE difference in visiting during a busy festival vs. when there aren’t a lot of other visitors. Still, these festivals look too good to be true! Halloween in the Garden– well, yeah. October. Nearby attractions? So, you could spend a good part of the day here. However, you might want to break the day up and spend a few hours on the water too! Rita’s Ice– this great ice cream shack is literally right next to the grounds of the garden. There are also fast food options in the immediate vicinity. 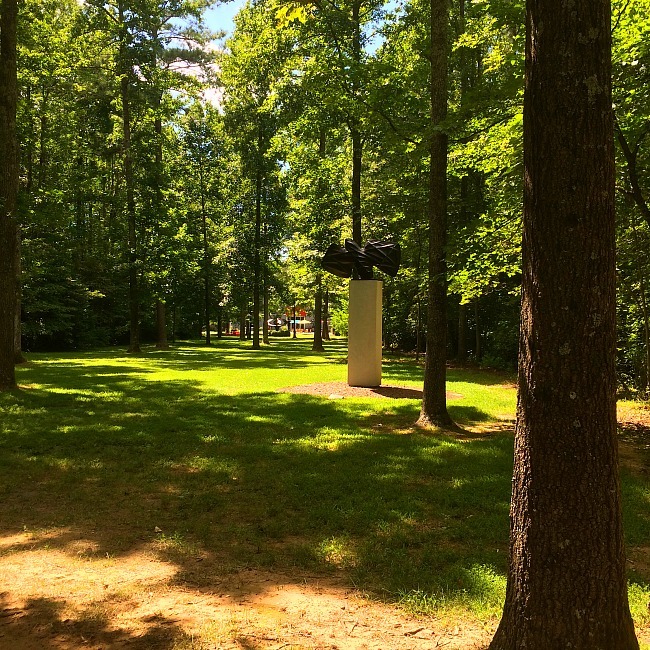 If you are looking for a great day trip from Washington DC or Baltimore, you could hardly do better than a visit to the Annmarie Sculpture Garden. I hope you visit soon! Did you like this review? 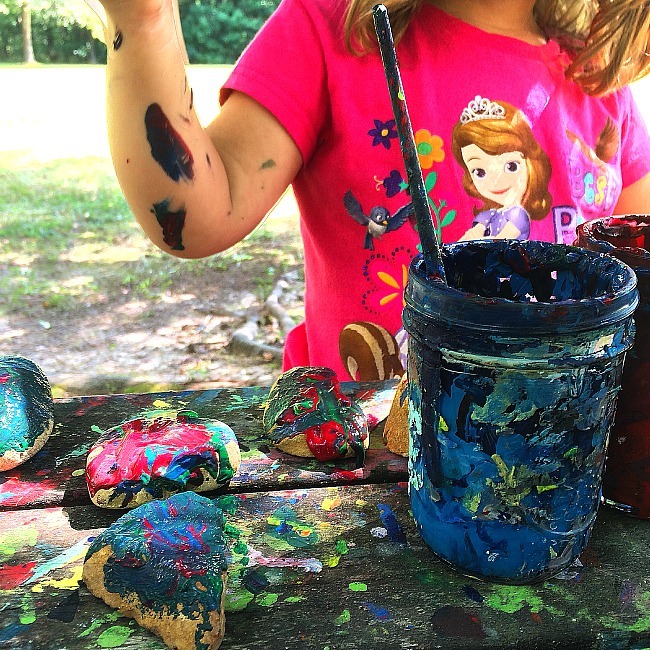 Sign up for my newsletter to get weekly parenting tips, craft and activity ideas, and inspirational posts. Also, join me on Facebook every Wednesday at 9PM (EST) for my weekly live run down of the best activities for families to check out in the area. 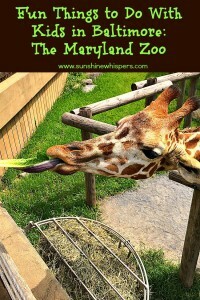 Here are some other fun things to do with kids you might want to check out too! I want to go play in the Fairy Garden! Is there an age limit? Does it count that I am working on my 2nd Childhood?